Is your phone designed with a precision-crafted glass and metal body? Is it as beautiful as it is strong? Is it made to take best photos ever, even in low lighting conditions? Now, is the time for you to move on from your existing smartphone and enjoy the intuitive moto experience with your all time favourite moto x4, avail an attractive EMI option with Zero Processing Fees starting at just Rs. 1,749 per month. Additionally, as a part of the offerings, customers can avail an extra Rs. 2,000 off on exchange of their existing smartphone. 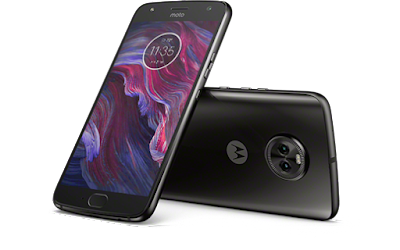 moto x4 features corning gorilla glass covers on front and back protecting it from scratches, while its IP68-rated water resistant design keeps moto x4 protected from accidental spills, splashes and even puddles. Moreover, moto x4 features a snappier 12MP+8MP wide angle dual rear camera with 120° field of view. The primary 12MP camera comes with dual autofocus pixels to capture stunning images and the secondary 8MP is a wide angle camera offering 120° field of view with amazing depth capabilities. Its advanced camera software with features like ‘Selective Focus’ and ‘Spot Color’ add artistic touch to the pictures and offer a superior camera experience. The smarter camera software lets you recognize objects and landmarks. Additionally, the moto x4 is equipped with 16MP front camera with flash that captures amazing selfies even in challenging light conditions and is packed with new age features like Face Filters, Panoramic selfies and Beauty mode. The new moto x4 offers a smarter Android 8.0 Oreo experience out of the box, giving you faster speeds, longer battery life, split-screen capabilities, smart text selection, improved notifications, autofill framework for your trickiest of passwords, and the all new Google Play Protect, helping to ensure none of your apps become compromised. * It also comes with the special Moto key feature that allows you to access your favorite password-secured websites on your phone or laptop with a simple touch of your finger.